If you’re looking to have an exciting night on the town, Van Hove Limousine is the way to go. We offer spacious luxury party buses at very affordable prices. We are based out of Fraser, in Macomb County, and provide a wide service area. Our friendly drivers are happy to pick you up and drop you off at any location you choose. We strive to make sure our guests are completely satisfied and go above and beyond to make sure you have a first class experience. We cater to all events such as weddings, bachelor/bachelorette parties, and birthdays. 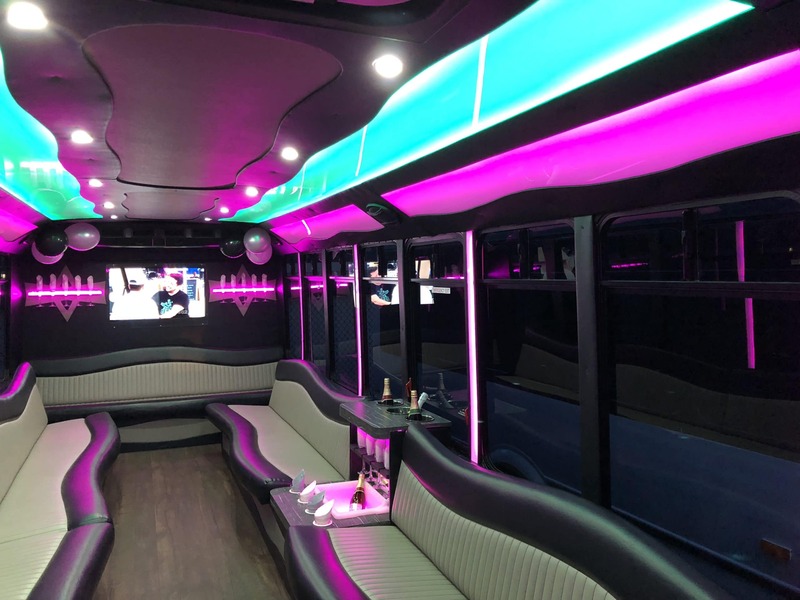 Our buses are first class featuring plush leather seating, wood flooring, heat and air conditioning, awesome lighting, and top of line sound systems. We maintain and upgrade our buses regularly. Rest assured that you’ll always be arriving in style and partying in a spacious up scale environment on your way there. You and your guests will enjoy your own personal party on the road! We now also offer many different tours including our Michigan made wine and hard cider trolley tour. We also have shuttles to many events where you pay buy the person and do not need enough people to rent an entire bus. We shuttle to most DTE Music Theater and Little Caesars Area concerts. We also have shuttles to Detroit Tigers opening day and other special events such as the Corktown St Patrick’s parade and other pub crawls. Have a look around our website for more information and specifics on our available fleet. If you have any questions feel free to give us a call! You can also request a quote right from our website and we’ll get right back to you! Van Hove Limousine is looking forward to providing you with the best transportation available, for whatever your event may be!